Five children meet on the first day of kindergarten. In the years that follow, they become friends and more than friends. Together, they will find strength, meet challenges, face life’s adventures, endure loss, face stark realities, and open their hearts. 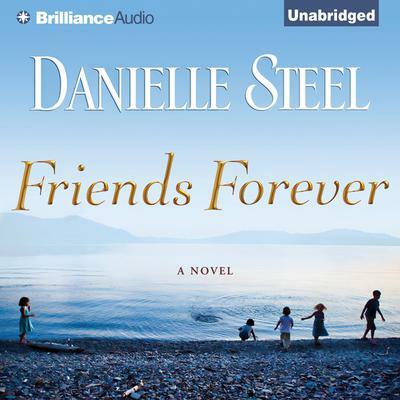 In this moving novel, #1 New York Times bestselling author Danielle Steel traces their unforgettable journey — full of tests and trials — as three boys and two girls discover the vital bonds that will last a lifetime. Gabby, Billy, Izzie, Andy, and Sean — each bursting with their own personality, strikingly different looks and talents, in sports, science, and the arts. Each drawn by the magical spark of connection that happens to the young. At the exclusive Atwood School, on a bright September day, starting in kindergarten they become an inseparable group known to outsiders as the Big Five. In this rarefied world, five families grow closer, and five children bloom beside one another, unaware of the storms gathering around them. As they turn from grade-schoolers to teenagers, seemingly perfect lives are buffeted by unraveling families, unfortunate missteps, and losses and victories great and small. And, one by one, they turn back to the Big Five to regain their footing and their steady course. But as they emerge from Atwood and enter the college years, the way forward is neither safe nor clear. As their lives separate and diverge, the challenges and risks become greater, the losses sharper, and the right paths harder to choose, in a journey of friendship, survival, and love. In what may be her most intricate and emotionally powerful novel yet, Danielle Steel tells a heart-wrenching, ultimately triumphant story that spans decades, weaves together a vivid cast of characters, and captures the challenges we face in life — sometimes, if we’re lucky, with a friend forever by our side.